The near-term estimated funding requirement considers term finance, working-capital finance and non-fund limits for enterprises in manufacturing and trading. 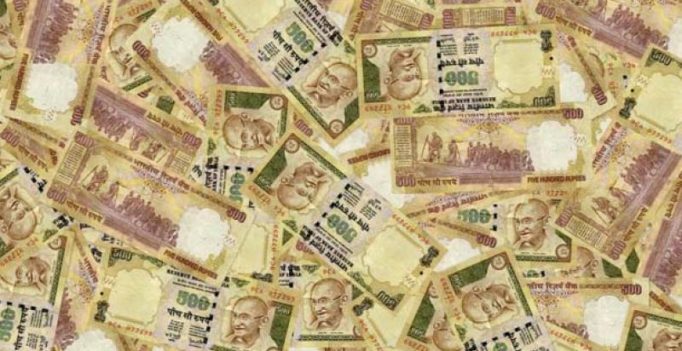 New Delhi: Highlighting the financial crunch faced by MSMEs, a report has pegged the total credit demand for the sector at Rs 45 lakh crore over the medium term while Rs 5.15 lakh crore needs to be mobilised for the near term. “Crisil estimates show Rs 11.37 lakh crore is only a quarter of the total funding demand of MSMEs. The rest is met either through informal sources/self-financing or remains unmet,” said a joint study by Crisil-Assocham. The near-term estimated funding requirement considers term finance, working-capital finance and non-fund limits for enterprises in manufacturing and trading. The study pointed out that finance issues pose the biggest challenge among a host of factors hindering growth of micro, small and medium enterprises (MSMEs) in the country, apart from issues like infrastructure, government policy, marketing and technology. It underlined fund-raising as a constant issue for the MSME sector, stating that key concerns such as information asymmetries, lack of collateral, low risk appetite of lenders and lack of knowledge of players act as roadblocks. MSMEs also experience cash-flow problems due to slow moving or excessive stock, which gives rise to poor stock or inventory management, too generous credit terms, cash watered on unprofitable products or services, and unnecessary expenditure (money spent on buildings, houses, luxury cars) as well as drawings. The study suggested cash-flow management of MSMEs, which mainly includes actions related to cash payment, collection management and liquidity management, to help them maintain an optimal cash balance that is neither excessive nor deficient. It noted that MSMEs continue to face constraints in securing adequate finance, particularly in terms of their ability to convert trade receivables into liquid funds. The MSMEs’ receivables have been increasing due to lack of bargaining power with large corporate customers. The compulsion to deal with large corporates to avail of bulk orders and increase scalability has meant many MSMEs face difficulty in managing their working capital. This constrains them from increasing scale of operations, profitability and working capital intensity. The study observed that access to credit for new businesses is an imperative, and better implementation of government schemes under financial assistance can help. Promoting technology to cut costs, encouraging banks and financial institutions to take up financial literacy modules for micro entrepreneurs, adoption of best global practices by lenders, infrastructure development, robust marketing system, using alternative financing options and decentralisation of credit-approval processes are certain key recommendations of the study to rejuvenate the MSME sector.